Delivery from £11.40 to United Kingdom in 2 - 5 working days. 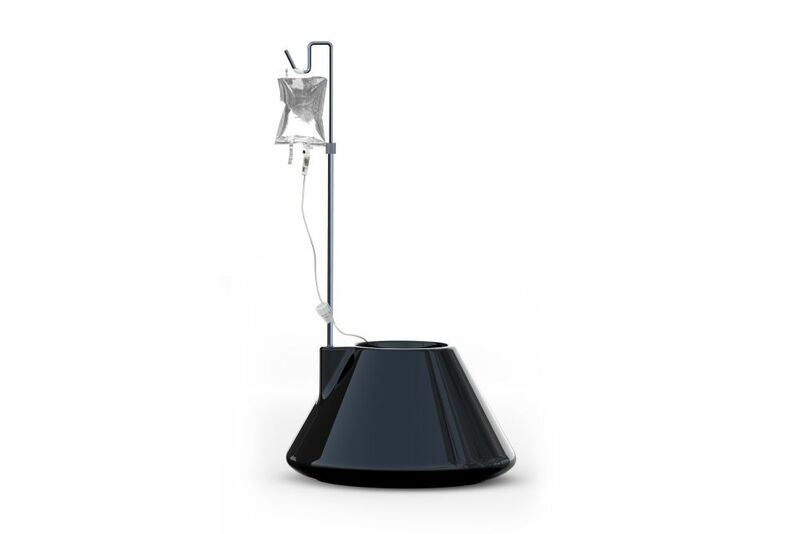 This self-watering plant pot's main feature is a medical drip feed. This unique characteristic allows the plant to be nourished with water and food as it is required. The drip feed provides a striking design focus as well as acting as a reminder to its owner as to when it needs topping up. Drill out holes as instructed for use outdoors.